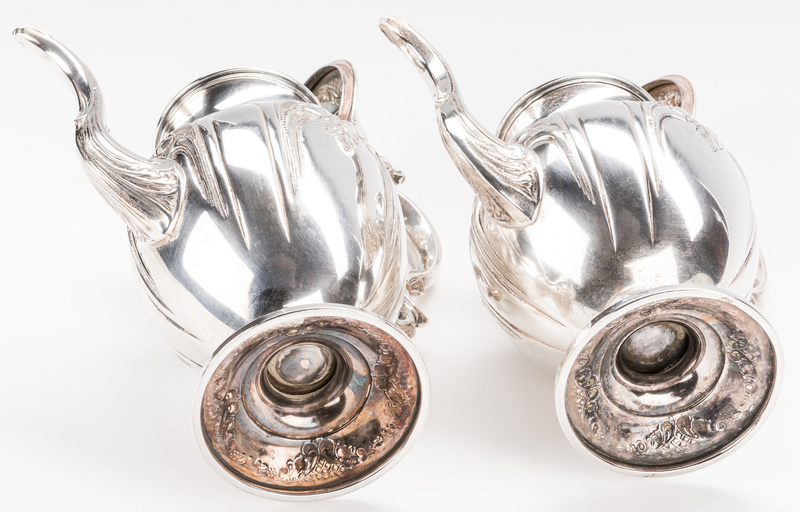 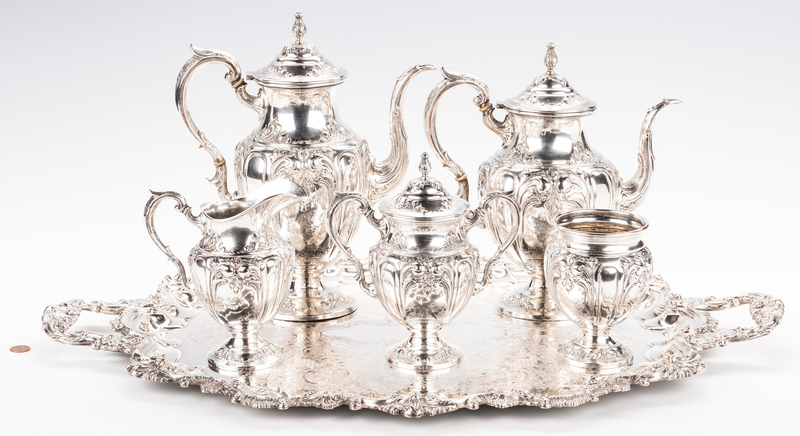 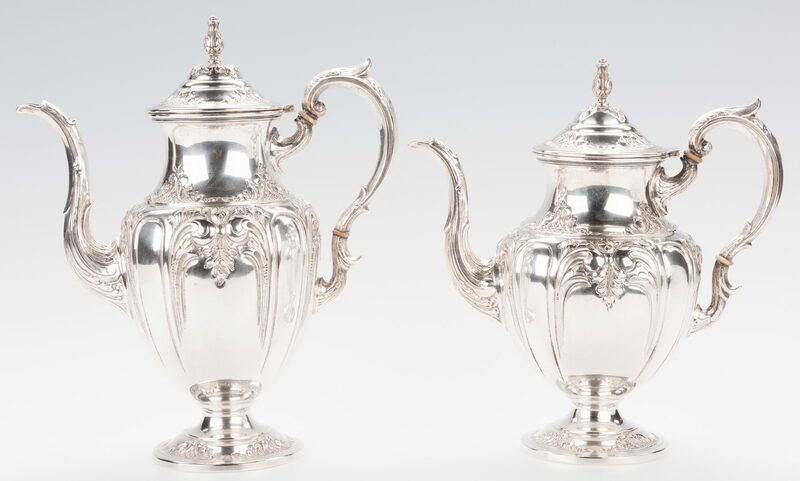 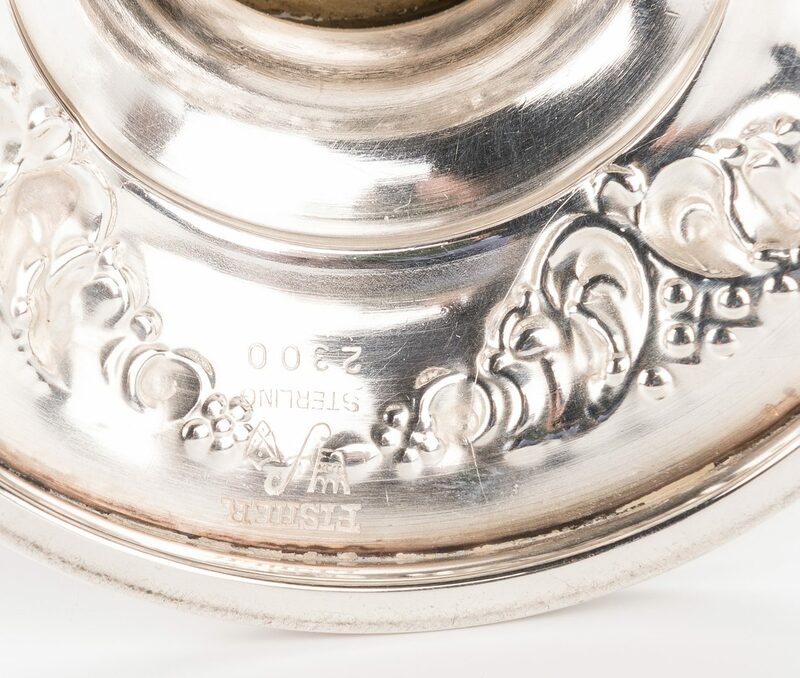 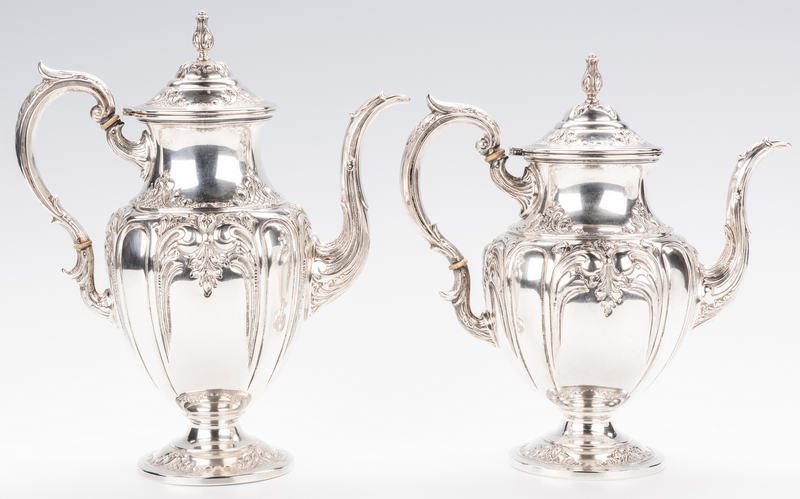 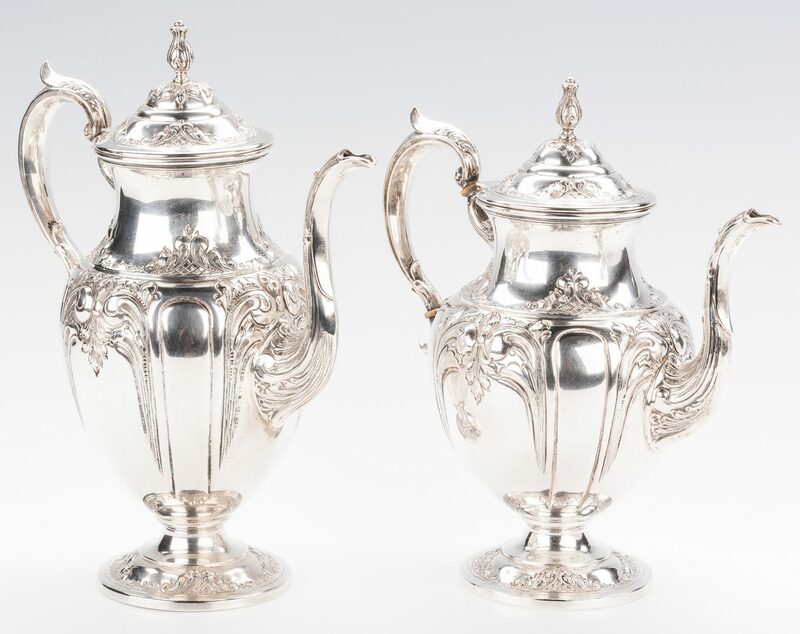 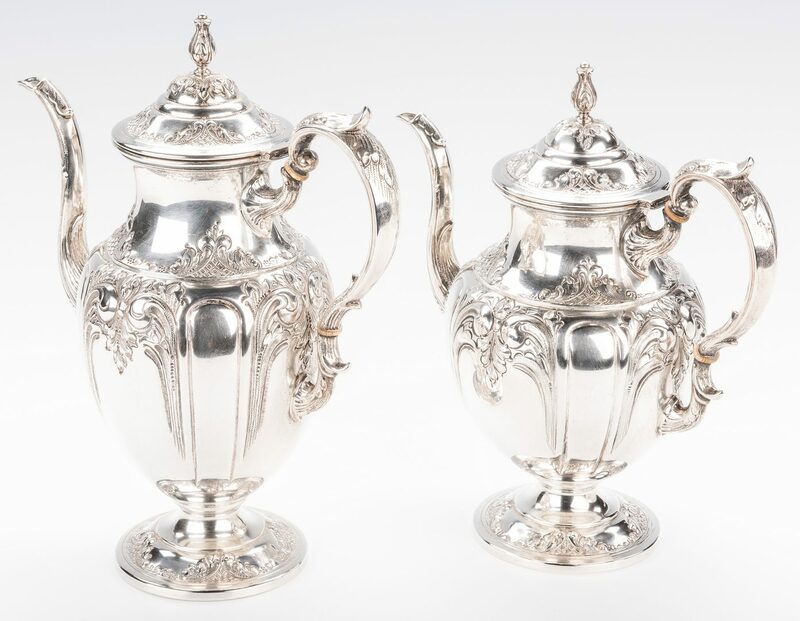 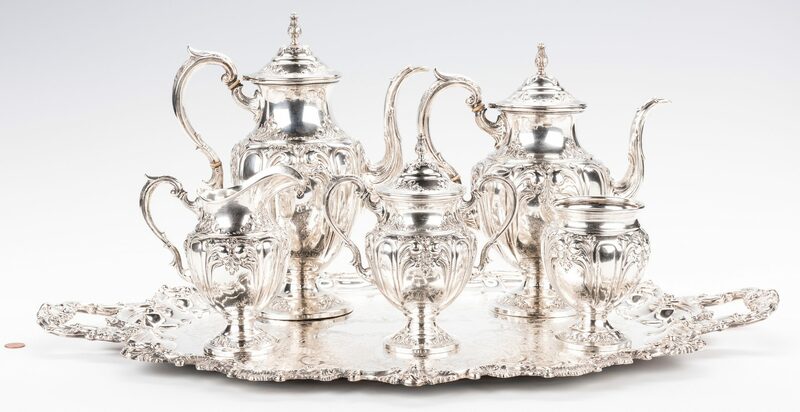 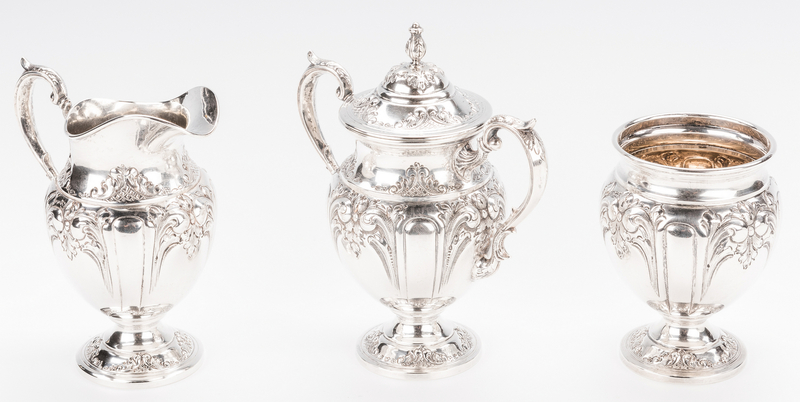 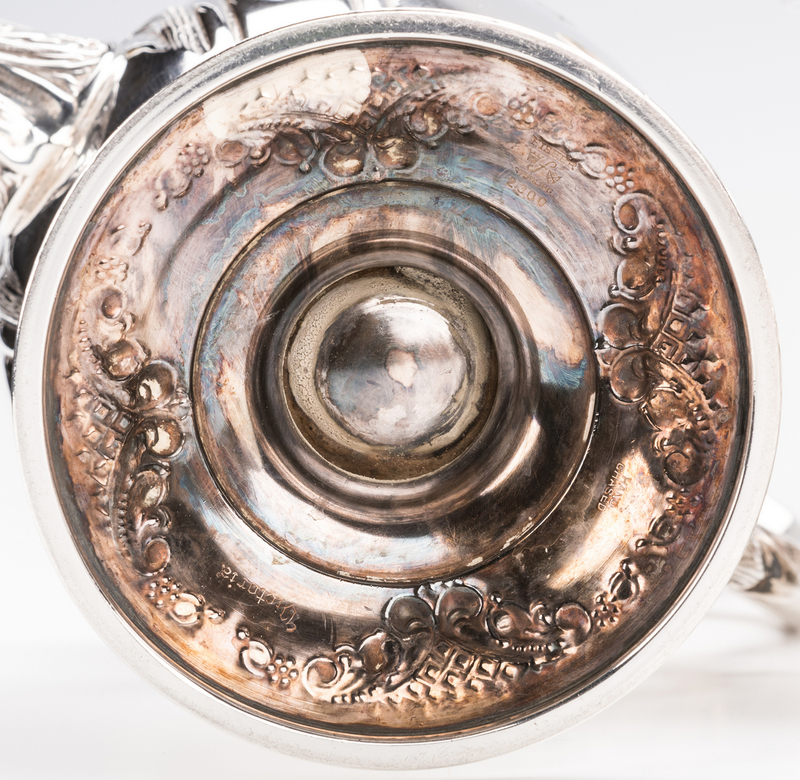 Fisher "Victoria" pattern sterling silver tea service, 5 pieces, including teapot (11" H), coffeepot (12" H), covered sugar bowl (8" H), creamer (7" H) and waste bowl (5 1/2" H) all of footed form with chased and repousse Rococo style design. 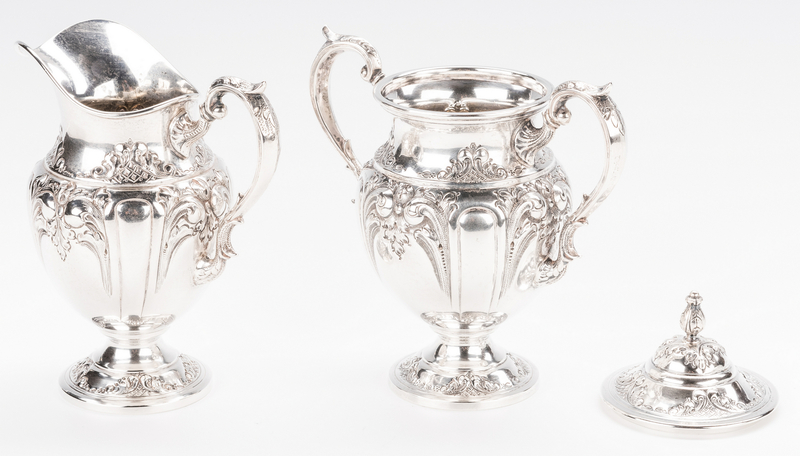 94.345 total troy ounces sterling. 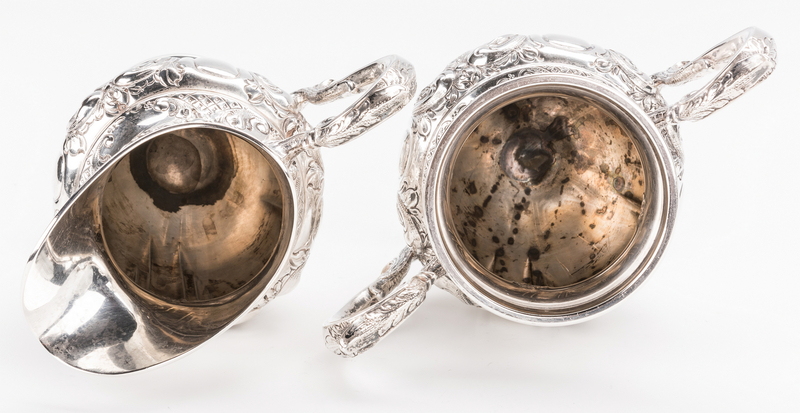 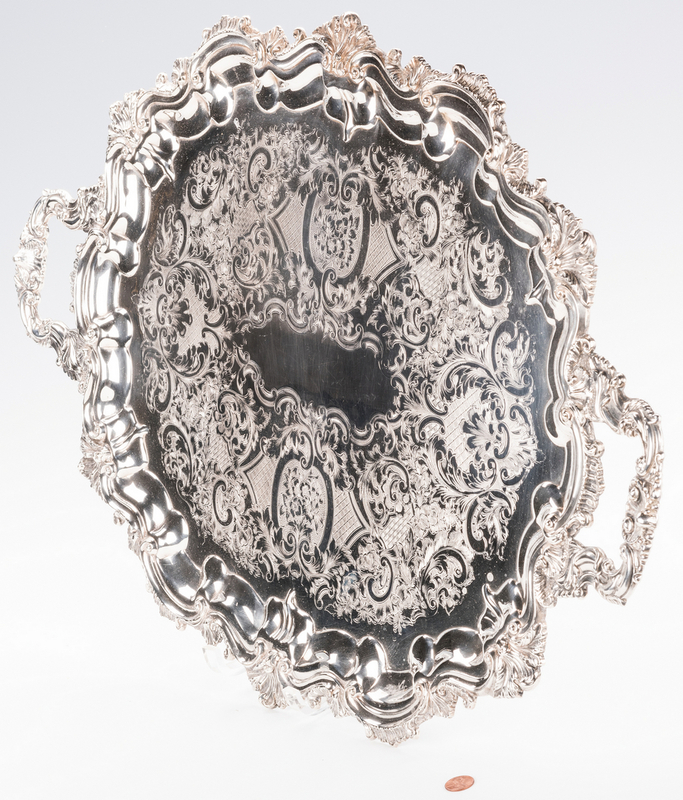 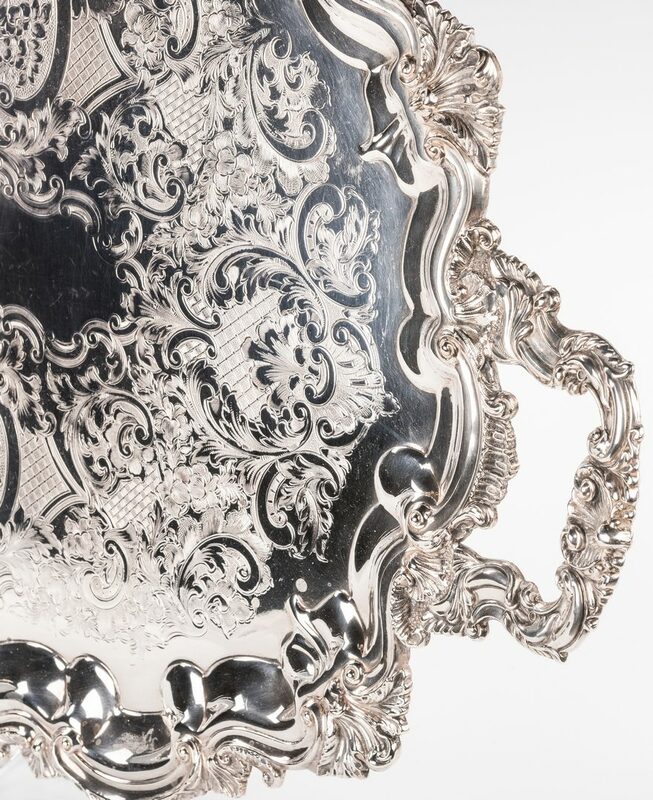 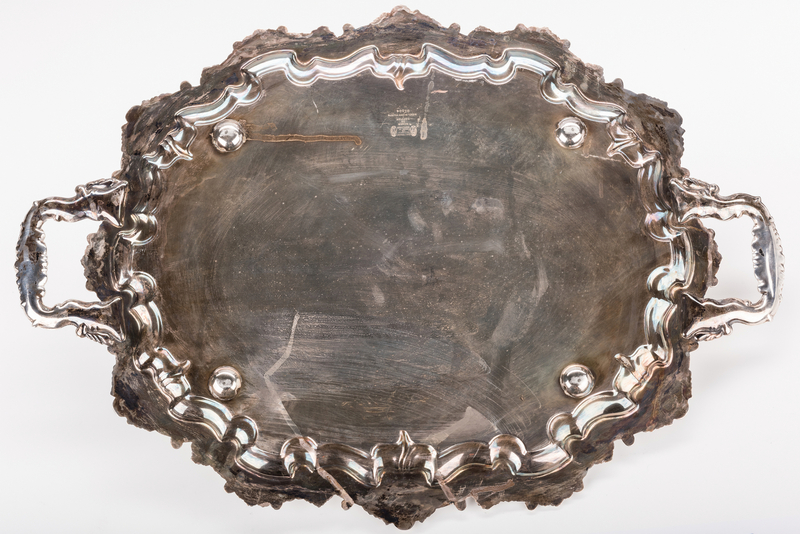 Together with an oval English silver plated tray with rocaille border by Cheltenham. 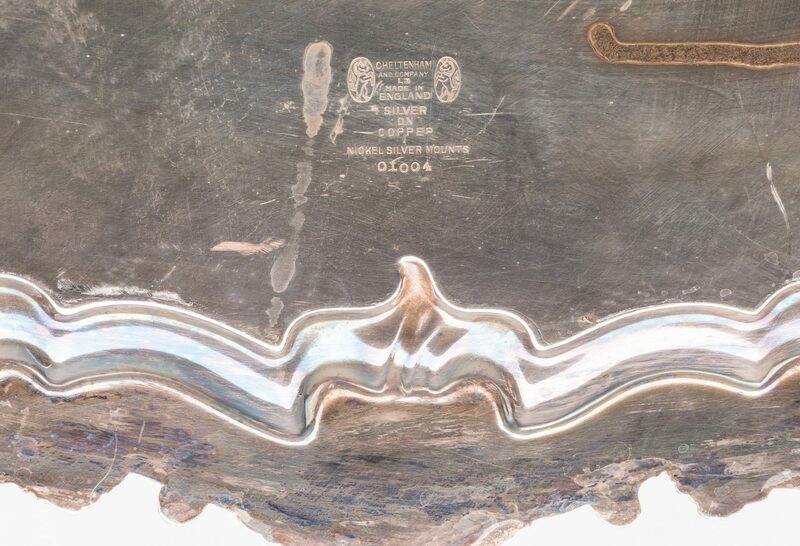 Provenance: Sevier County, TN private collection. 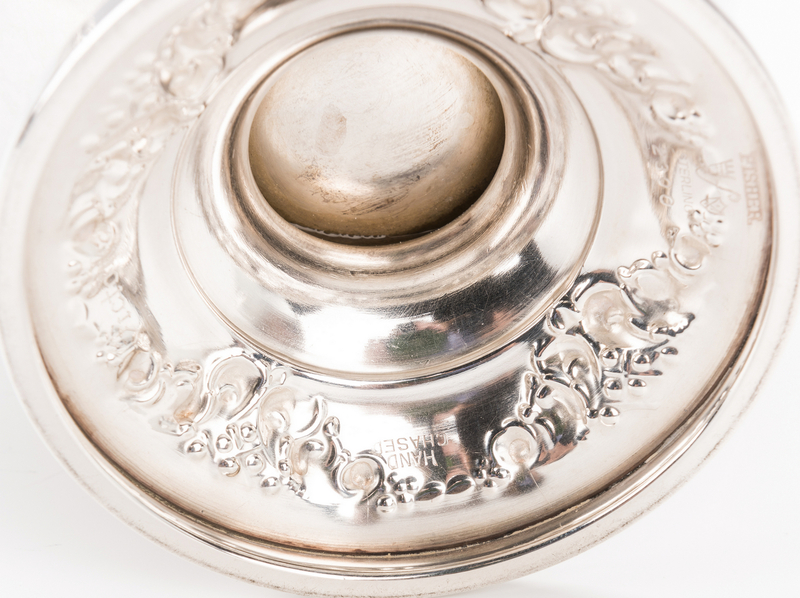 CONDITION: Handle of coffeepot loose. All other pieces overall good condition.